What actually is hand, foot, and mouth disease (HMFD)? HMFD is a viral illness that affects young children, usually younger than the age of 5. However, older children and some adults can also contract HFMD. You may realize you have contracted HFMD if you’re suffering from sores in the mouth, a rash on the hands and feet, a fever, sore throat, and/or reduced appetite. While this illness can spread easily, it usually can clear up on its own within 7 to 10 days. Luckily, Cherrywood Foot Care and our podiatrist in Nassau County, working out of Wantagh, Merrick, East Meadow, and Bellmore, offers treatment for HFMD. How can you contract it? How can you treat HFMD? How can a podiatrist in Nassau County treat HFMD? If home remedies aren’t helping, your best bet would be to visit a doctor. 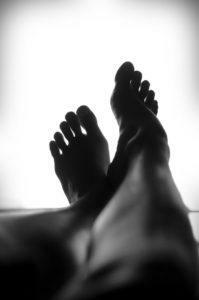 At Cherrywood Foot Care, our podiatrists can offer medications to help relieve the irritation caused by HFMD. By seeking medical help, you will be able to tell if you’re is still contagious or if further attention is needed. It will most likely be suggested that you apply anti-itch cream to hand or foot areas to stop you from touching the virus and spreading it. 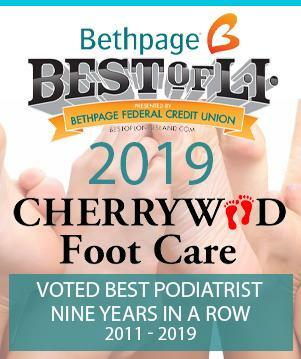 If you’re looking for a podiatrist in Nassau County, book an appointment with Cherrywood Foot Care. With the help of Dr. Joseph Burke and his team, you will be in great hands and will have access to the most cutting-edge technologies in podiatry.